I think the later holds true since, they might not be aware of what goes into making a perfect hire. So the obvious question is what are the 5 simple steps to Recruiting Proactively? Now let’s find out what these steps include. Farmers on the other hand are better at weeding out candidates for regular hires that are conducted as they are thorough with the role expectations and can easily filter candidates without the skills required. If you think that you cannot be responsible then you too are accountable including your team if the task has been assigned to each one of you. The success lies in everyone working together with the same objective to reaching the same goal. Well these are the steps that you should take in to account when starting on your talent hunt but if the process seems boring at times just remember that, “Time spent on hiring is time well spent.” – Robert Half and you’re sure to achieve results that you can certainly count on for future hires and strategies. 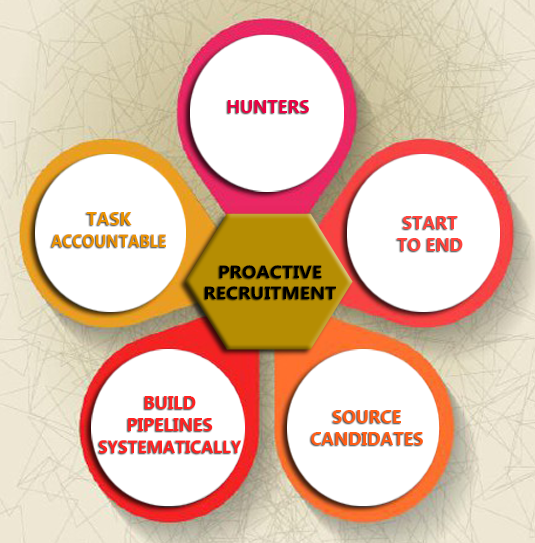 The survey dealt with the various tools and practices that recruiters use to assist them in targeting quality talent. The findings suggest that Recruiters are much like marketers as they showcase their Employer branding and engage candidates across many platforms. 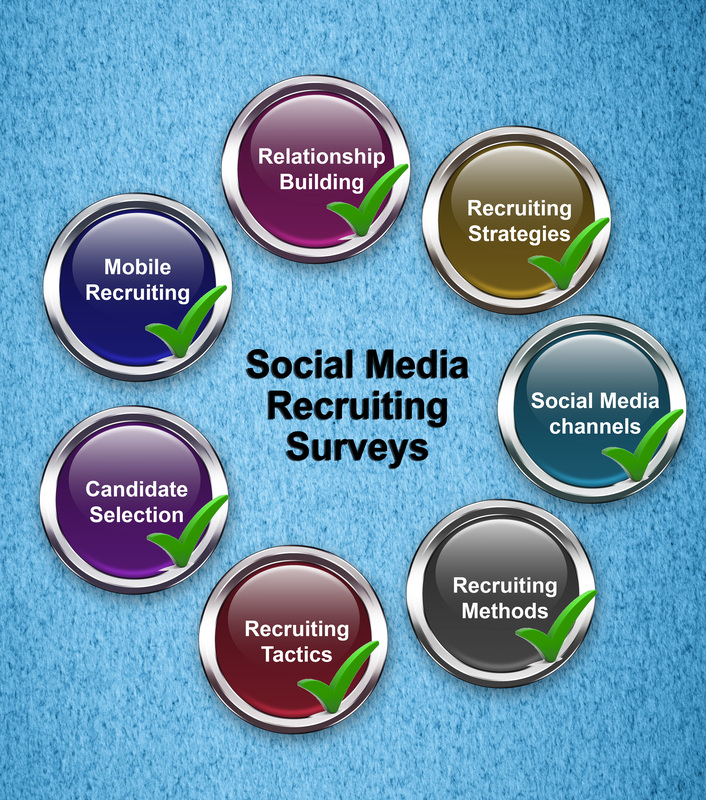 So if you want to find out how you faired then take a look at the Social Recruiting Survey (2014) conducted by jobvite.com. According to this survey building relationships is of the essence. With the current development in the Recruitment field 69% of Recruiters are of the opinion that competition will increase in 2015. In order to succeed 73% of Recruiters have planned to invest more in Social Recruiting, 63% via referrals, 51% through mobile and 93% use or plan to use Social Recruiting to support their recruiting efforts. 73% of companies are showcasing the company culture to attract talent. 55% of Recruiters are using or plan to use a mobile career site to meet their recruiting needs. Recruiters are now utilising Social Media channels to review profiles of candidates, to uncover mutual connections and evaluate written or designing work of potential candidates. 55% of Recruiters have actually reconsidered a candidate based on their social profile. 60% rely on referrals, 54% use internal transfers, 51% utilise direct sources and 40% use intern to hire in order to find best candidates. 95% search for candidates and contact them, 93% keep tabs on potential candidates and vet candidates pre – interview while 92% post jobs on LinkedIn. With Facebook 59% showcase employer brand, 51% generate employee referrals, 48% post jobs , 32% vet candidates pre-interview and 35% vet candidates post – interview. Through Twitter 44% showcase their employer brand, 39% post jobs, 32% generate employee referrals, 17% search for candidates and 18% vet candidates post – interview. With the help of Social Media there has been an improvement of 44% in quality and quantity of hires, 34% in time to hire and 30% in employee referrals. Recruiters have started using mobile to recruit candidates anytime and anywhere. 22% have started posting jobs, 36% search for candidates, 41% contact candidates, 30% post job on Social Channels and 40% forward candidate details to colleagues. There has been a 14% improvement in the time to hire, 13% improvement in quality of candidates, 19% improvement in quantity of candidates and 10% improvement in quantity and quality of referrals. Well aren’t you convinced now that these types of surveys are definitely beneficial as they help you reconsider your efforts and find out loop holes in your strategies that your haven’t seen or known of. So if you aren’t using these methods then I’m sure your missing out on exceptional talent that you thought didn’t exist. So its high time you start implementing them if you haven’t already. Well we’ve gone over this several times yet we still continue to follow these myths that we think are realities when they aren’t. As Recruiters this holds true for most of us as every field has its own myths and realities that most professionals aren’t aware of. But if you think that you’re aware of all of them think again as I’m sure that you’ve missed some. So let’s uncover some career fair myths and realities. The representatives of the company usually almost never make offers at a fair. At best they’ll take your details and tell you that they’ll schedule an interview for you at a later time. So be sure to have your calendar ready to give them the dates of your availability and you’re resume handy. It’s alright if you “just show up” at the career fair. While that might be the case it never hurts to be prepared just in case you get an opportunity to showcase your talents and a chance to get your resume in the door for a possible job opening. 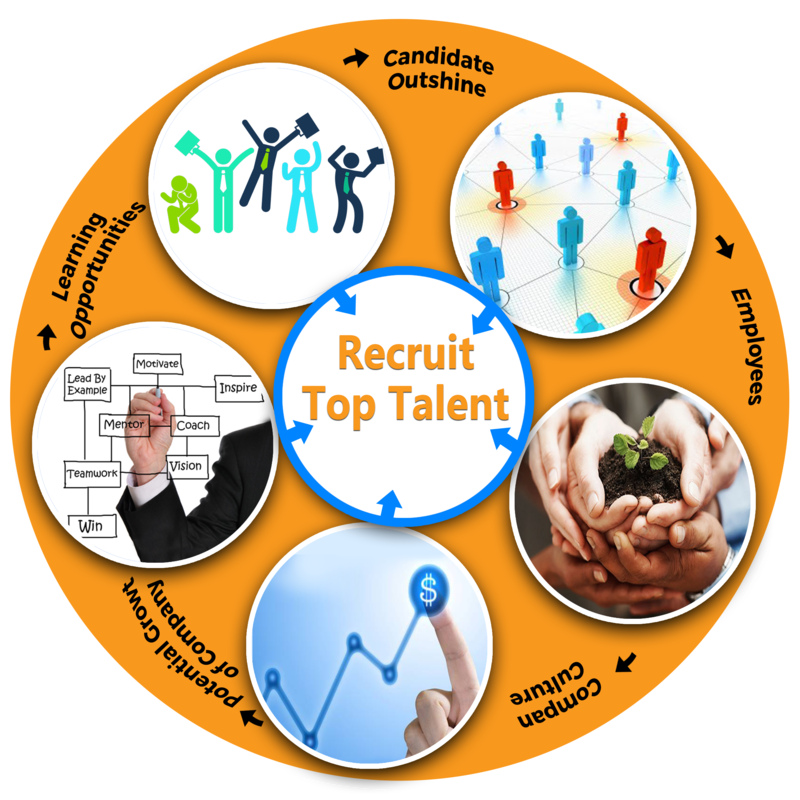 Recruiters are all aware of all the job openings in their company or organisation. Organisations usually send different representatives to fairs. Sometimes they are HRs at times they are the hiring Managers. These individuals might have information about openings in other departments but may not have the details you’re looking for. Company Representatives always have job opportunities available. Company Representatives come to career fairs for various reasons of these the 4 main ones are 1) Advertising Current Openings, 2) seeking and screening potential candidates for future openings, 3) promoting a general visibility of the company and 4) To find out who their competitors are. The Representatives of the Company will remain at their Recruiting table throughout the fair. This is not true they may arrive late or leave early depending on their schedule and or turn out or rotate shifts with other representatives. So if you plan to meet them later they probably might not be there. All you need to do is drop you resume off. While that is true you will certainly miss out on interesting opportunities without interacting with the representatives. When you visit such fairs it provides you with an opportunity to get your resume in the door. This is because you’ve taken out the time to meet with them and in doing so you leave a lasting impression on them. It also helps them decide why you are a perfect fit? There’s no reason for you to follow up after the fair. While this is a general idea that is followed you need to remember that if you send them a thank you and follow up email or if need be a call. These aspects together will reinforce the impression they have of you which will no doubt set you apart from the rest. The internet is the perfect source of information about any topic be it Social Media monitoring or simply tracking your business on social channels. The recent developments have caused companies and Talent Acquisition professionals to track any other activity related to a business’ presence on Social Media. For obvious reasons I need not mention. 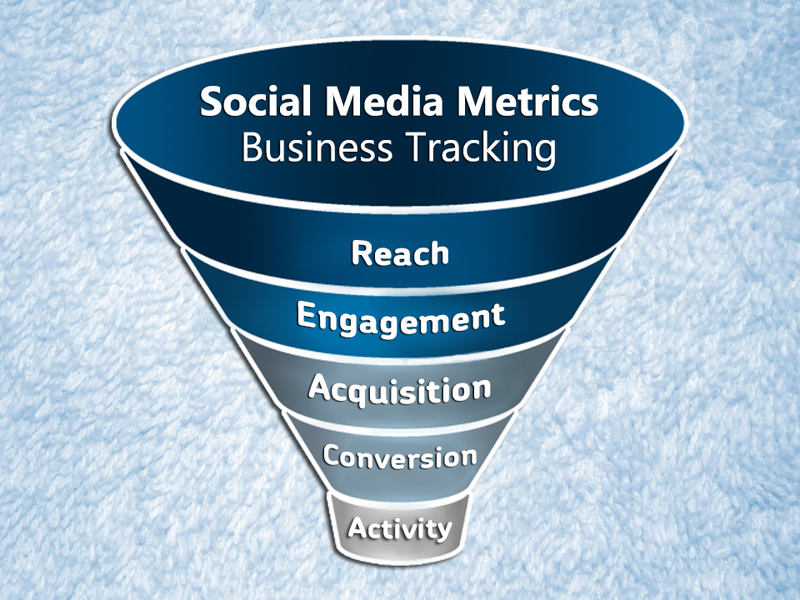 With that being said most Talent Acquisition professionals especially company owners need to not only monitor but also track the Business activity on Social Media if it is to be a success thus we have 5 effective social media metrics for business tracking. Under this section the aspect you need to watch out for is track you’re Audience Growth Rate. This is essential as it helps you to directly connect Social Media data with the business’ profits. This depicts the Social Media momentum, thus enabling you to get first – hand information about how you are progressing. The other metrics that are related to this is Audience Growth and Total followers. You need to track the Average Engagement Rate as it helps you to check the results of your efforts and whether you need to make changes or are there any ways that you can improve your efforts to get you the desired results you’re looking for. Similar metrics to this are Reach, Audience Growth Rate and Overall engagement. Here you need to track the Visitor Frequency Rate with this metric you get a clear idea about the number of return visitors you’re posts’ receive thus enabling you to identify which topics are of interest to the viewers. This knowledge in return gives you an idea of the kind of posts that interest them so you can get them to engage with. The other metrics to monitor are Click – Thru Rate and Impressions from Social Media. You can use tools like Google analytics to get the statistics of referral traffic from Social Media. There are two kinds of Metrics to track here i.e. is Assisted Social Conversions and Direct Click Conversions. Although the Direct Click Conversions might not show the effect of your efforts but the Assisted Social Conversions very well can. In order to gather the information you’re seeking out you need to define specific conversion goals. You can use this information to compare last click (direct) conversions another Metrics to track. The metrics that you need to track here is Customer Service Savings. This particular metrics will show you the impact on your business’ growth a result of the activity you receive. The formula to get this data is Avg. Time x Costs Per Hour x Customer Service Inquiries Completed = Savings. The other related metrics to track are Customer Service Costs and Social Media posts. Well if you’ve taken care of all of this then you should get important date which you can compare to derive newer ways to attract audience to your site and products or services your company offers. So make sure you have all of these aspects covered when implementing them. If you have any views to share do tell. A Recruiter’s tasks have been simplified to a great extent with the arrival of the Internet. Gone are the days where recruiting was done using traditional methods like “I’ll wait for the right candidate to walk in” or “eventually the right candidate will come find me”. Technology has not only simplified the tasks but also speeded up the recruiting process entirely. The current method used in recruiting is Online & Mobile Recruiting which facilitates the “you don’t search for me I’ll come find you instead” technique. If you’re a start-up or a small business owner then there are certain ways by which you are sure to get the talent you’re looking for. You’d be surprised to learn that even big companies have started giving preference to employee referrals so why shouldn’t you? Besides your current star employees will most likely know someone similar to them and might be the best fit for your organisation in the long run. You most definitely don’t want to miss out of such a pool of talent. This may seem futile to most but the work environment plays a crucial role in attracting the right talent. If the talent that you have is right but the culture isn’t one that retains employees then you need to change that. Because the talent you’re searching for isn’t going to stick around and are likely to refrain from getting their friends to this kind of environment. When writing JDs, be sure to market the company’s growth potential as people are attracted to companies that have more to offer them experience wise. Such JD’s are sure to attract candidates displaying the right attitude. Besides when you know the company’s growth potential why not market it and improve you’re branding as well. Individuals with the right attitude get attracted to opportunities that teach them something more than what they are already knowledgeable about. Such individuals usually end up as great hires and assist the company’s growth. This we know because if you have the right staff your company’s growth is most definite. Nothing beats a great hire than one that outshines you. If given an opportunity to outshine you, you can be positive that the candidate is the right fit for an organisation like yours. Besides these are the candidates you want to hire as they can point loop holes in your suggestions when it comes to the organisations marketing strategies. Well there you have it all the information you need to map out your hiring strategies and make that perfect hire that is sure to make all the difference in the company’s growth. All of these aspects are bound to assist the company’s growth in one way or another. You are therefore better off implementing them in to your hiring strategy. Do you have any pointers to add? Do tell and we’ll be glad to add them in our next post.